Drop me an email with your manuscript (read the small print for how to format your work), and a little about your story. I’ll send you a quote and a date by which I can complete your edit. If you’re happy, let me know and I’ll send you an invoice. Pay the invoice via bank transfer. I complete your feedback using track changes and send it back to you. That’s it, we’re done. Of course, if you have any questions you can always email me back and I’ll be happy to answer them. If you’d like feedback, click the button below. “Sacha’s advice on the characterisation of Klempner [my villain] was inciteful and valuable and covered a couple of areas I’d not even considered… The assessment has been of huge use to me and will be applied not only to Klempner himself in the remainder of my current series but, going forward, on my future writing.” Simone Leigh, author. “Sacha’s constructive feedback was invaluable in helping me take my novel to the next level. She was able to pinpoint details that needed work, pick up things I’d missed, and provide an in-depth critique of both the structure and characterisation. I wouldn’t hesitate to recommend her services!” Helen Jones, author. “Sacha Black provided me with a critique of three flash fiction pieces. Her insights and perspective were on point, focusing on both the strengths of each piece and areas which needed attention. 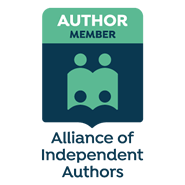 Her feedback was encouraging, supportive, but most importantly balanced and her suggestions brought a sparkle to my writing, lifted it and added a greater depth, all of which I would not have achieved without her valuable input.” Charise Steinhart, writer. “I recently won a contest and got a free edit of my first three chapters from Sacha Black. I thought she might find a few spelling errors or typos. Instead, she gave me insight into a new way to express myself. With just a few suggestions, my first three chapters, my entire book, has been improved immensely. I will definitely be using Sacha’s editing services in the future and I highly recommend her to anyone looking to improve their prose.” Amy Lehman, writer. “Sacha Black is not only a skilled writer but a skilled reader as well. She is able to pinpoint problems from a reader’s perspective as well as give advice for how to avoid these issues as a writer. Her knowledge on how to organically incorporate worldbuilding into a story helped me keep the pacing and flow of my story. She helped me focus on making my characters feel more real by adding more description to facial expressions and body language. She is constructive and kind and she knows her stuff. She is worth every pound!” Jun Li, writer. If I receive work that isn’t formatted correctly, I will send it back for formatting and this means the quoted price might need to be amended. I will assess your manuscript and then send an individual quote back to you. Payment must be paid in full in advance of any work commencing. Payments made by bank transfer. We will agree a mutually convenient date between us based on how fast you need it and how busy my schedule is. I’ll aim to do short critiques (anything under 30 pages) within a week or two. Full manuscripts will be on a case by case basis. Cancellation Policy: If you need to cancel a critique or developmental edit, please let me know as soon as possible. For smaller critiques under 30 pages, your payment is refundable up until the day I start working on it. Once I begin working on your pages or manuscript, it is non-refundable. For complete manuscripts, your money is fully refundable as long as you cancel giving me not less than 14 day’s notice. If you cancel less than 14 days in advance of me starting work, there is a 20% cancellation fee. This because I schedule my time weeks in advance and it can be difficult to fill a last-minute vacancy. I will do my best never to cancel a feedback arrangement once agreed. However, sometimes life gets in the way. Therefore, I reserve the right to cancel the feedback at any time. If I do so, then all monies paid will be refunded in full within 24 hours of said cancellation. I won’t edit anything that includes topics where children are abused, killed or tortured. I don’t care for stories about beastiality either. Otherwise we’re good.